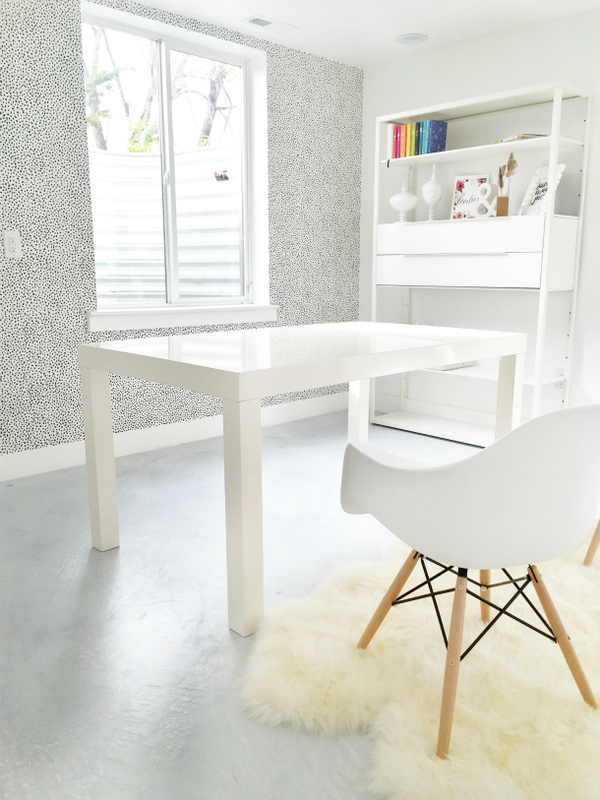 How to Apply Removable Wallpaper - An Office Update! 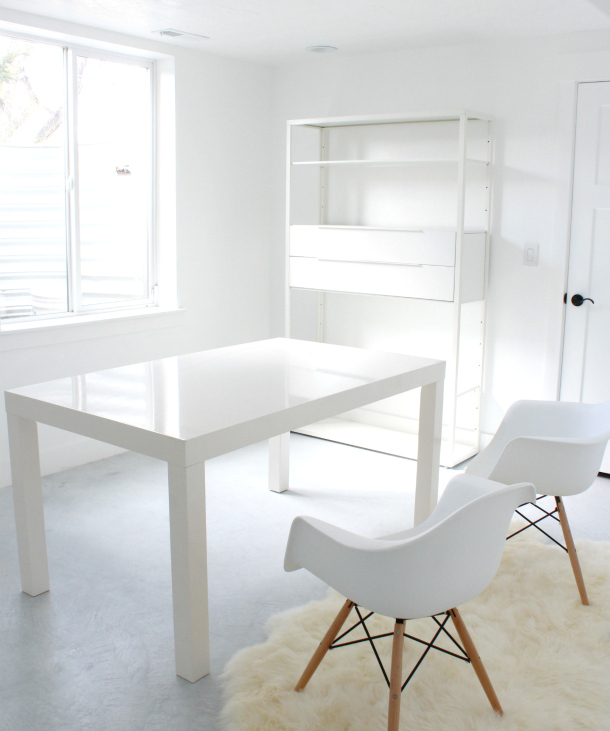 When we last left off, my basement office was... white. ha! But you can see all the inspiration I had for it in this post. I'm so excited! I ordered my paper from here because I had some store credit I needed to use, but Chasing Paper sells LOTS of great removable wallpaper designs, and is even a couple dollars cheaper. 3. It could make a big impact. First of all, I was really happy that the paper was actually black and WHITE... and not black and cream. I was a bit worried when I first ordered it. Secondly, putting up this paper was straight forward enough... but tricky at the same time. Here's what we used and how we applied everything. I thought it might help, because this stuff isn't cheap, and you want to get it right the first time. 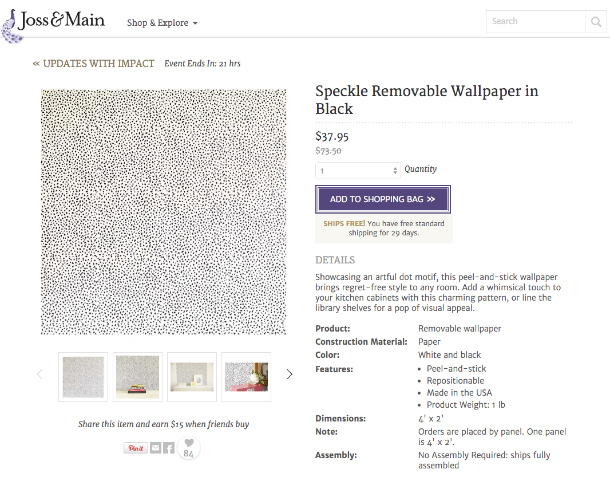 The wallpaper will come with two layers. The actual paper itself, and then the backing that keeps the sticky portion from being exposed. Measure the space where you're putting your paper and make cuts BEFORE you remove the backing. Duh... I know, but I just wanted to put it out there. ha! We also made sure to flip the wallpaper over to the backside to draw our measurement lines, so that we didn't have any pencil marks on the nice designed portion. 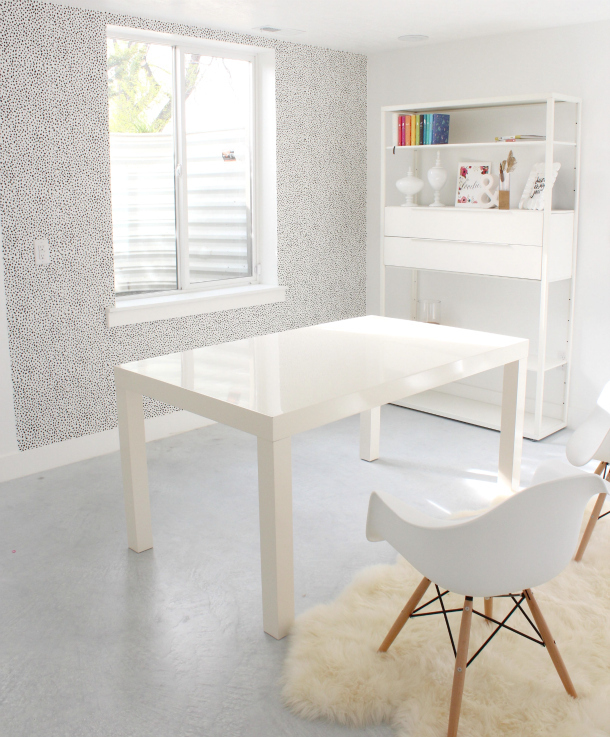 The great part about OUR particular wallpaper design, is that it was SUPER forgiving. You might have to go with a different measuring technique if you have a very stubborn pattern that needs careful lining up. (good luck!) LOL. The level itself wasn't necessarily used for leveling anything, as much as it was handy for making those really straight, long cuts. Once we were ready, we peeled off the backing, and both held the paper at one end. Cason would place the top portion where it needed to be, and then I would line up the rest. 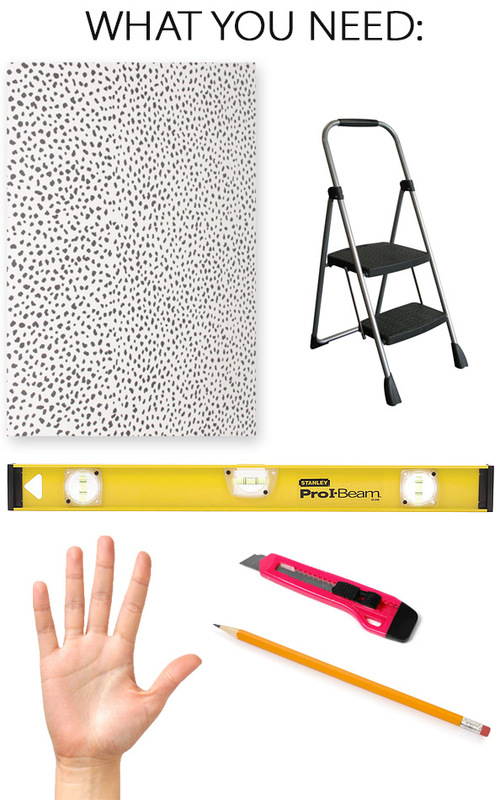 After you've applied your piece of wallpaper, try to smooth it from the middle out, to avoid any big air bubbles or wrinkles. Once we got the hang of everything, the application for the paper went really fast. There were portions that had to be cut out for the outlets, but other than that, it wasn't too bad. We were a handful of sheets short when it came to finishing the whole wall, but I ordered more so hopefully I can finish next week... I just couldn't help but share the portion that we DO have done! I'll be back with an update once the entire wall is finished too, so keep your eye out! love that! I was just eyeing some of this for our downstairs bathroom, love the impact it makes! That looks fabulous! Where did you get the chairs? That look awesome! Thanks for sharing! I assume you have nice smooth walls and not the "texture-y" builder nonsense we've got going on?